Not mine. 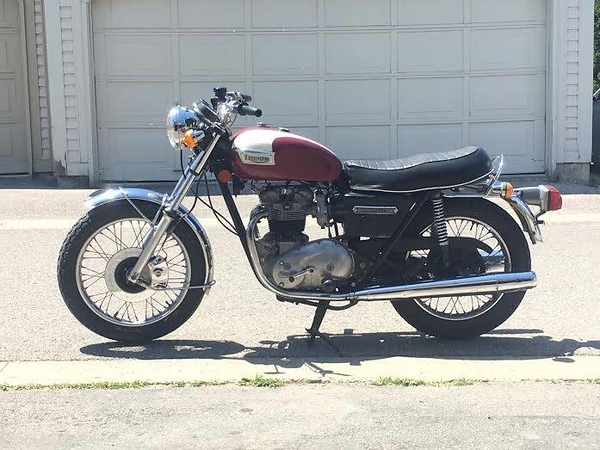 Neighbor has been working on this 1976 Triumph Bonneville for over a year now. He just picked up a BMW bike and is looking to sell this one. New tires, brakes, braided lines, new clutch and springs, sealed tank, Boyer ignition, 27000 miles, $3500 price is firm, running condition, sold as is. Shoot me a PM if interested. Mods, please delete or move thread if not appropriate. Super cool bike, copied to vehicles for sale.